Adult Members are aged 18 to 100 as of Dec. 31, 2018. They may purchase a Membership and pay to play in any of a number of adult leagues as long as they meet the stated age and gender criteria. The season membership price for this membership includes the OCA fees of $13.50 and the Capital improvement fee of $25. A charge for each league selected is added. This charge is capped at 2 leagues. Extra charges include locker rental. These charges are found below under the heading Additional Registration Options. There are a number of discounts or price overrides available for various curling choices including post-secondary students, day time only curlers, 1/2 season curling only. Please review these options carefully. These discounts are found below under the heading Registration Discount Options. This member group is for players aged between 18 and 99 on 2018-12-31. The base price for this membership is $229.28 plus an additional $196.07 for each league a player is playing in to a maximum annual price of $552.96. All players must register in a minimum of one league. When you register for this member group, your membership will expire on 2019-10-01. Our Monday Day Ladies' league is a social rotational league where curlers sign up as individuals and are placed on balanced teams based on positional skill level. Players change teams every few weeks enabling all the curlers to play with many different ladies. It is a tremendous league to play in to meet new friends and play with a wide variety of curlers. Draw time is at 10:00 am weekly with coffee and sweets afterwards. League play begins Monday Oct 15, 2018. Please contact Yvonne Yersh 519-267-4222 or Jan Brown 519-621-7371 with any questions. This league is a day time, individual player sign up league and has 1 flight(s). Win, Loss, Tie Scoring is used for this league. The score is entered and points are calculated based on Win, Loss, Tie or Default. Monday Men Social is a social evening league for adult male members. Players are rotated through teams every 4-5 weeks. So members meet and play with many other members. There are 2 draws beginning at 6:30 pm and 8:30 pm. Points accumulate through the season based on team results in each round. This league is a prime time, individual player sign up league and has 1 flight(s). Win, Loss, Tie Scoring is used for this league. The score is entered and points are calculated based on Win, Loss, Tie or Default. Tuesday Evening Ladies is a social evening league for adult female members. Players are rotated through teams every 4-5 weeks. So members meet and play with many other members. There is 1 draw beginning at 6:30 pm. Points accumulate through the season based on team results in each round. Wednesday Morning Rental Mixed Social League is for adults only. Each team consists of 3 players. The game has similarities to the ‘Doubles Match’ in that 2 stones are positioned at the beginning of each end and each player will deliver, sweep and call 2 stones per end. This league is an individual player sign up league. Main objective - have fun and enjoy the morning. There is 1 draw beginning at 9:00 am. Play in this league is included for members. This league is a day time, choose your own team league. Wednesday Choose Your Own is a flighted evening league for adult members. This is a choose your own league. There are 2 draws beginning at 6:25 pm and 8:30 pm. Points accumulate through the season based on team results in each round. This league is a prime time, choose your own team league and has 4 flight(s). Win, Loss, Tie Scoring is used for this league. The score is entered and points are calculated based on Win, Loss, Tie or Default. Thursday Choose Your Own is a flighted evening league for adult members. This is a choose your own league. There are 2 draws beginning at 6:25 pm and 8:30 pm. Points accumulate through the season based on team results in each round. Friday Night Mixed is a social evening league for adult male & female members. Players are rotated through teams every 4-5 weeks. So members meet and play with many other members. There are 2 draws beginning at 6:45 pm and 8:45 pm. This league currently has 3 openings. Tuesday Morning Men's Rental League. This league is a recurring rental league. Play in this league is included for members but they will have to pay the social fee. This league is a day time, individual player sign up league. Friday Morning Pay as You Play. This is a recurring rental league for adults. It is a pay as you play format but members can participate and only pay the social fee. Sunday Social For Adult Members. Select this league if you curl in other adult leagues and you also want to join the Sunday Social League. The fee is $50 and includes both the Fall and Winter sessions. This league is a prime time, individual player sign up league. Little Rock is the initial league for our youngest players. This membership type is for players aged between 6 and 11 on 2018-12-31. This membership is not taxable. Note: CSA approved protective head gear is mandatory for all Little Rock curlers. This member group is for players aged between 6 and 11 on 2018-12-31. The price for this membership is $139.05. The Little Rock Competitive league meets on Sundays. Older Little Rocks who wish to learn the competitive game and want enhanced training and skill development are encouraged to play in the Competitive League which runs Sundays from 11:30am - 1:30 pm. Minimum 2 years experience is required. The Little Rock Intramural league meets on Sundays at 1:30 pm to 3:00 pm. This league is a day time, individual player sign up league and has 1 flight(s). Sunday Social Member: There are two 8 week sessions. This membership type is for players looking for an introduction to curling. These members are non-voting members. There is a $25 Sunday Social discount for Sunday Social Members who sign up for their second session in this curling season. This discount is automatically applied when signing up for the second session. This member group is for players aged between 19 and 100 on 2018-12-31. The base price for this membership is $0.00 plus an additional $127.61 for each league a player is playing in to a maximum annual price of $232.43. All players must register in a minimum of one league. Sunday Open Social Fall Session is a social evening league for adult male & female members. There are two sessions of 8 weeks each. The fall session begins with a practice night on October 14th with regular curling starting on October 21st, 2018. Curlers meet and play with many other members. There are two draws beginning at 6:00 pm. Sunday Open Social Winter is a social evening league for adult male & female members. This is the second of two sessions of 8 weeks each. This session begins formally on January 13th, 2019 while there is an extra practice/instruction night on January 6th, 2019. Curlers meet and play with many other members. There are two draws beginning at 6:00 pm. Youth members may play in our youth leagues. Youth includes both Bantam and Juniors and the ages are: for Bantams up to 16 and for Juniors up to 20 on 2017-12-31. Note also: Youth who are invited to play in an adult league join the club as Students within the Adult section and pay the Student rate of $278.87 plus tax. Note: CSA approved protective head gear is strongly recommended for all participants. This member group is for players aged between 10 and 20 on 2018-12-31. The price for this membership is $146.55. The Youth (Bantams and Juniors) Intramural league meets on Sundays from 1:30pm to 3:00 pm. This league is a day time, individual player sign up league and has 1 flight(s). Full Scoring is used for this league. The score is entered as ends and points for each team and points are calculated based on ends, points and Win, Loss, Tie or Default. The Youth (Bantams and Juniors) Competitive league meets on Sundays. The Youth Competitive program will be running Sundays from 11:30 am to 1:30 pm. 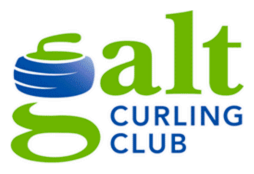 OCA memberships are offered to anyone who is a full member at another curling club and wishes to be able to play in OCA events as a member of Galt Curling Club Team. Proof of membership at another club must be provided. This member group is for players aged between 11 and 99 on 2018-12-31. The price for this membership is $89.50. Adult Social Member (three sparing opportunities permitted): No discounts can be taken with this membership type. This member group is for players aged between 19 and 100 on 2018-12-31. The price for this membership is $50.00.